Launching your first business website can feel like a demanding experience, but it doesn’t have to be. If there’s one thing to know about WordPress, then it’s that WordPress makes website creation as simply as it can get. 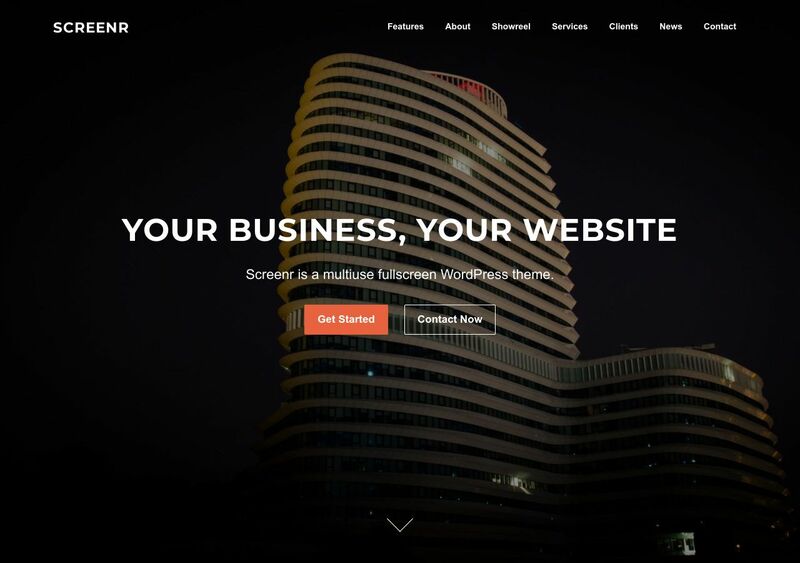 Screenr is a professional high-quality business theme built by FameThemes. Whether you’re a freelancer, startup owner, or straight up a digital agency — Screenr will suit your needs in a multitude of different ways. Implementing modern Responsive Design concepts, Screenr adapts to the most modern devices, whilst retaining compatibility with older smartphones. In addition, you have full control over how elements flow and look across your pages, especially the homepage. Modify Layout styles and customize fonts, sizes, and colors of different elements. And if you want to go all out, you can activate Parallax Scrolling which allows you to create smooth background scrolling effects. All pages within the Screenr theme are separated through Content Blocks, allowing you to customize and move the said blocks in whichever way you prefer. Important features like Contact Forms, Service Pages, and Blog are integrated by default.